Introducing the SiS GO Energy Performance Energy Sachet, perfect for carbohydrate loading for prolonged workouts or fast re-fuelling. 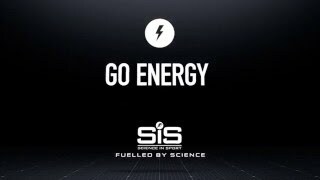 SiS GO Energy provides a highly practical solution to achieve increased carbohydrate intake (and helps complement high carbohydrate food intake) in order to boost our muscle glycogen stores prior to training or racing. Taken either before, during or afterwards the SiS GO Energy can take a slightly different effect to cope with how your body is reacting. Before- for easy, low bulk carb loading. During- when you need fast, sustained energy. Consume after exercise to promote the recovery of muscles glycogen stores so that you are fuelled and ready for your next hard training session or race.